Tucked away in the northwest corner of the state is the home to one of Indiana’s greatest treasures: the Indiana Dunes along beautiful Lake Michigan. The 15 miles of coastline are home to gorgeous beaches, dunes, and fantastic hiking trails that all make a great local getaway for your next vacation. You can create your own personalized tour of the dunes so that you’ll see and explore everything that interests you. Visit Michigan City and check out attractions such as local parks and the Michigan City lighthouse. You can also go fishing, plan a boat ride, or just check out the local shops and restaurants. Nearby attractions in Valparaiso and Chesterton are sure to keep you occupied. Catch a movie, see an opera, play, or taste some local wine at the nearby vineyard or Gabis Arboretum. 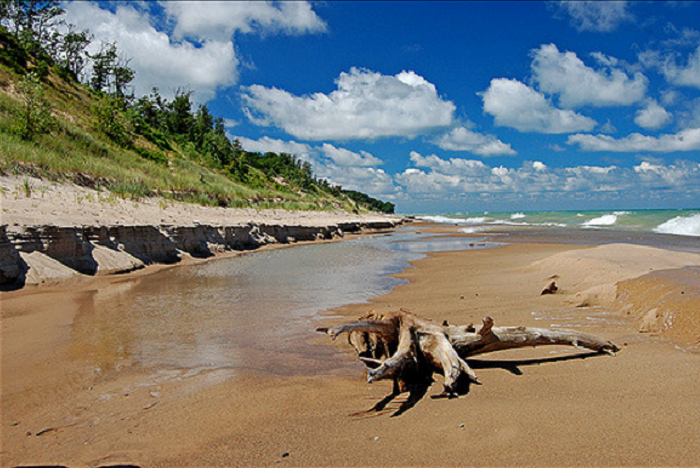 Forget taking a shore vacation to another state: you have to visit the Indiana Dunes at least once in your lifetime.